Keeping your home secure and safe is a top priority. With a burglary occurring approximately every 18 seconds in the US and almost one third of the properties have at least one person present during a break-in, it’s time to consider finding solutions to your property’s security. Home security systems and alarms are an obvious choice and often top of mind. However, Hurricane Shutters Florida offers a viable security solution. Hurricane security protection defends homes, condos and businesses from extreme weather. The added value of an investment in highly-rated security shutters for windows and doors increases property value, lowers insurance premiums, and provides peace of mind with a safe premise. 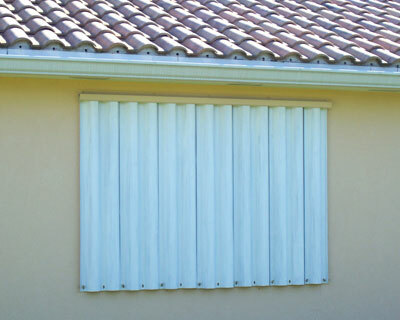 Roll-down hurricane shutters also provide a year-round solution for property security against break-ins and theft. Hurricane Shutters Florida stands ready to assist families and businesses in preparation for each upcoming hurricane season as well as anti-theft protection with roll-down hurricane shutters. Hurricane Shutters Florida, headquartered in Sunrise, Florida, is one of the largest, most technologically advanced manufacturers of a multitude of options for protecting your home or business including storm panels, accordion shutters, roll-downs, Bahamas, and colonials available. The roll-down shutters from Hurricane Shutters Florida are constructed of the finest grade of aluminum for maximum impact resistance and durability. 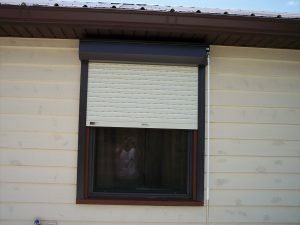 These specially designed roll-down shutters provide maximum strength and insulation from sun, storm, heat, noise, and weather extremes PLUS provide security to your property at night or when you’re away from home on vacation against theft. Custom designed and engineered to each window or door with sleek European styling guards your property while offering an elegant design solution with minimal visual impact. Roll-down Hurricane Shutters protect against gusting winds, torrential rains, or thieves trying to gain access to your home or business. 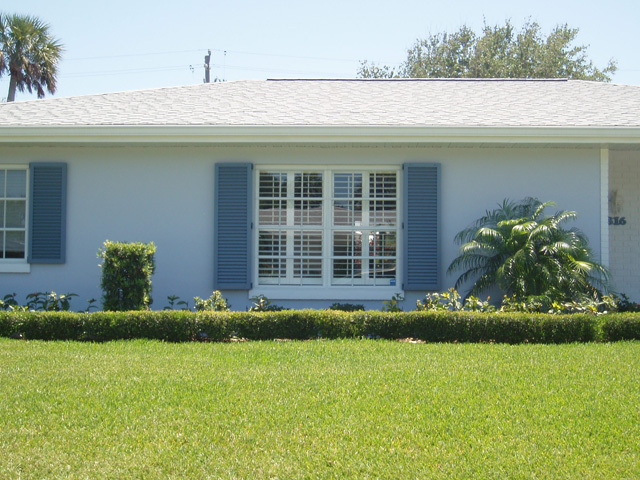 Roll-down Hurricane Shutters from Hurricane Shutters Florida eliminates the challenges and difficulties you would typically find with other storm protection window and door coverings. Steel hurricane panels are exhausting to install. The ease of closing up your home and business is so effortless with roll-down shutters. Two options are available with the roll-down shutters – either a smooth, manual crank or an upgraded fully synchronized electric motor drive for maintenance-free operation. Hurricane Shutters Florida’s Roll-down Hurricane Shutters can be made to fit any size window, door, balcony, terrace, or storefront to provide the ease of home and business security! 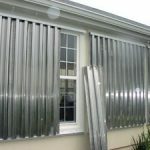 An investment in Roll-down Hurricane Shutters secures your home or business against break-ins as well as severe weather. 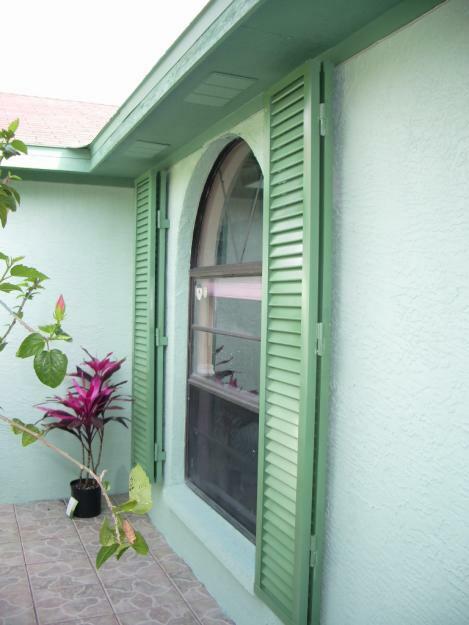 You can be assured that Hurricane Shutters Florida’s roll-down shutters have been engineered to meet the most stringent wind codes in the country and have been reviewed and accepted by the most stringent Miami-Dade County product control division, Florida Building Code, and the International Building Code. Where Can You Find Colonial Hurricane Shutters in Georgetown, South Carolina? The historic city of Georgetown is known as a great place to live in South Carolina. Coastal living in South Carolina means a lot of things: beautiful beaches are close by, lots of outdoor activities can be found, quaint coastal towns are all around, fresh seafood is a given, and more – but it also means that storm preparation is a must. Cities and towns on the Atlantic coast are in danger of a hurricane strike every year. By protecting your windows with strong hurricane shutters, you can protect your property from some of the most common and costly types of storm damage. Your shutters should be storm shutters, not decorative shutters, if you want to protect your windows from flying projectiles, and other wind and water damage during a storm in Georgetown, South Carolina. Since hurricane-force winds can easily exceed 100 MPH, you shouldn’t take any chances with your shutters. At Empire Construction & Development, we manufacture custom, hurricane-rated colonial storm shutters for homes, rental properties, restaurants, hotels, and other commercial and buildings in coastal South Carolina. Our colonial storm shutters are made of heavy-duty aluminum, and are built to comply with the most stringent wind codes in the country. 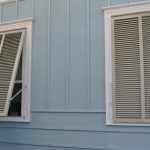 Your shutters can look good while protecting your windows. You shouldn’t have to choose between the aesthetic appeal of your home and its safety – with attractive colonial shutters, you can add to the look of your home and get top-quality storm protection. Reminiscent of the old south, these shutters can add some southern charm to any building in Georgetown. Our colonial storm shutters are custom built to fit the measurements of your windows, including arched, curved-top, and angled windows. 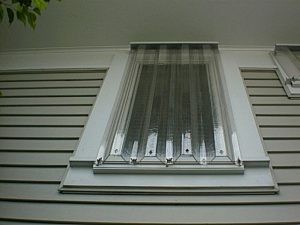 They fold at both sides of each window when open, and close securely when needed. Colonial hurricane shutters from Empire Construction & Development are available in a wide variety of colonial shutter colors to match of complement the color scheme of your home. 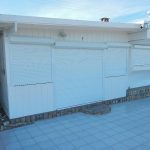 If you need another type of storm shutter in Georgetown, we also custom make aluminum accordion shutters, aluminum roll-down shutters, and aluminum Bahama shutters for storm protection, security, privacy, shade, and more. Get high-quality, affordable shutters for every need when you buy hurricane shutters in Georgetown, South Carolina from Empire Construction & Development. 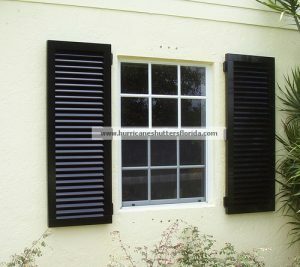 Ordering shutters is easy when you order from HurricaneShuttersFlorida.com, the one-stop storm shutter website of Empire Construction & Development. Select the shutter type you need, and contact us with your window measurements for a free price quote on your shutter order. Call: 888-474-3555 to speak with a member of our storm protection team about your order, and to learn about this month’s storm shutter deals. Find the best colonial hurricane shutters in Georgetown, South Carolina online from Empire Construction & Development. Posted in Colonial shutters, Decorative Shutters, Hurricane Shutters, Storm Shutters | Comments Off on Where Can You Find Colonial Hurricane Shutters in Georgetown, South Carolina? Charleston and the surrounding coastal areas of South Carolina are home to beautiful beaches and historic buildings. Tourists who visit coastal Charleston’s islands, beaches, and golf courses, who tour antebellum homes, and enjoy the sights of this southern city find out what the locals know – it’s a great place to be. Hurricanes are something that may not immediately come to mind when you think of Charleston, but as a coastal city on the Atlantic shore of the US, hurricanes and tropical storms do pose a threat to its homes and other buildings. Installing strong hurricane shutters on your windows can help minimize the risk of storm damage to your building and keep your home safe during a hurricane or tropical storm in Charleston, South Carolina. At Empire Construction & Development, we custom-make a variety of hurricane shutters for homes and commercial buildings throughout the southeastern US coast and other storm-prone areas of the country. Our colonial hurricane shutters are popular for their durability, ease of use, and their distinct look. These attractive shutters liven up all types of homes and commercial buildings in Charleston with a style that is reminiscent of the old south’s architecture and design, and they provide up-to-date storm protection. Colonial shutters from Empire Construction & Development are made to protect windows during hurricanes and tropical storms, and look good on homes year-round. These sturdy colonial hurricane shutters are made of strong, weatherproof aluminum – perfect for the heat, humidity, and rain in coastal South Carolina. Our colonial shutters are available in many custom colonial shutter colors – you can match your shutters to your home in Charleston, or choose a great accent color. You won’t have to worry about finding the right colonial shutter stock sizes for your windows in Charleston – at Empire Construction & Development we custom-make all of our colonial shutters for our customers in Charleston. When you provide us with the exterior measurements of your windows, we will make shutters to fit each window size in your order. If you have arched or curve-top windows, we can make colonial shutters that follow the design of these windows too. For questions about colonial shutters sizes or measuring your windows, call: 888-474-3555 to speak to one of our storm shutter experts. for residential and commercial buildings. Contact us today for a free price quote on your hurricane shutter order or to hear about this month’s colonial shutter deals. Order the best colonial storm shutters in Charleston, South Carolina from Empire Construction & Development and keep your windows protected against storm damage. If you live in Pensacola, protecting your home from future hurricanes and other storms may be on your mind. As hurricanes from the Atlantic reach the warm waters of the Gulf of Mexico, they can quickly strengthen. As these storms intensify, so does the danger for residents of Florida’s panhandle. The effects of a hurricane cannot be prevented entirely, but you can protect your home in Pensacola from many types of storm damage when you securely cover your windows and doors with hurricane-grade storm shutters. And other dependable storm protection products for Florida residents. If you are looking for an affordable, versatile shutter, our accordion hurricane shutters may be right for you. 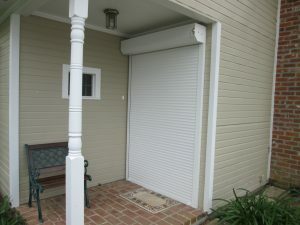 How do accordion storm shutters protect your Florida home? Durable hurricane shutters from Empire Construction & Development can be used to cover windows, doors, patio areas, garage doors, storefronts, and other openings that are susceptible to damage during a hurricane or tropical storm. Storm shutters from Empire Construction & Development are made of heavy-duty aluminum, a material that’s strong enough to stand up to hurricanes. 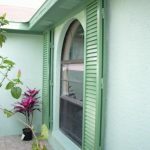 Our accordion shutters are engineered to withstand the wind speeds of hurricanes and to deflect dangerous flying debris that, if you don’t have shutters on your windows, can do serious damage. 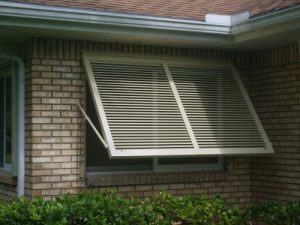 Hurricane shutters keep your windows from breaking, keep dangerous outside debris and water from entering your home, and can keep you and your family safe inside your home during a storm. How do you use accordion shutters? Accordion hurricane shutters from Empire Construction & Development are easy to use and allow you to quickly secure your home or other building in Pensacola before a storm comes. 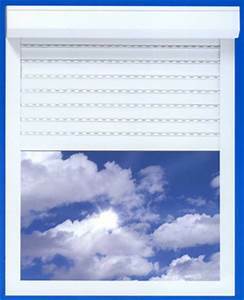 Our accordion shutters are made to be opened and closed along a built-in track. Accordion shutters pull shut from the left and right sides of each opening and close securely at the center of your window or door. A built-in locking device can be used on your accordion storm shutters made by Empire Construction & Development for extra security. 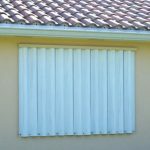 How do you know if accordion shutters are right for your property? Accordion shutters from Empire Construction & Development can be used to protect many types of windows, doors, and other openings from hurricane damage, other seasonal storm damage, and these shutters can also be used to protect against theft, heat, and the sun year-round. If you want to protect your windows and doors in Pensacola, give us a call at: 888-474-3555 to discuss your storm protection needs. Contact us for a free price quote on your storm shutter order. Get the best accordion shutters for your home in Pensacola when you order your hurricane shutters from Empire Construction & Development.